There is no doubt that having a secure, accessible and anonymous ethical hotline in place is an essential and effective tool for reducing misconduct in an organisation. However, many organisations find that their established hotline systems don’t work, and they struggle to develop an effective reporting channel that is easily accessible and trusted by employees around the globe. Considering recent regulative enforcements on data protection and differences in whistle blowing laws across countries, rolling out a global whistleblowing programme can be a daunting task. To address these challenges, we’re introducing IntegraCall® | Secure Compliance Hotline With Watson™, an effective and compliant app-based hotline platform. Even before the Sarbanes–Oxley Act made it mandatory for companies to have hotlines, many companies spent hundreds of thousands of dollars annually implementing and maintaining numerous call-in numbers for their hotline call centres worldwide. However, many hotline managers questioned whether these hotlines were effective and worth the cost and effort. These days, technology has forced rapid change to people’s lifestyles and communication behaviours. Yet hotline call centres have not really evolved — there is still a high dependency on human resources, call-in numbers that don’t work, outdated and misplaced information, and ridiculous hold times while overseas callers wait to be connected to a local-language interpreter. So it’s no surprise that many reports are coming through webforms rather than call centres. Communication channels and patterns have evolved. More people have access to a mobile phone than they do to a computer and the internet, public telephone booths are scarce, and many households no longer have landlines. Texting though a mobile device has become the most comfortable and preferred method of communicating for most generations, including an overwhelming 80 percent of millennials, who are the biggest population in the workplace. Now, think about how millennials would like to report any misconduct they witness? Is your hotline accessible and convenient using their preferred method? How would a mobile app-based hotline help? The key to a successful hotline is accessibility. It has to be accessible from everywhere, available 24/7/365, and in the caller’s local language. Plus, it needs to be secure and confidential. So what if a whistle-blower could access the call centre via an app-based hotline that they simply downloaded from their device’s app store? And what if the calls were answered not by a human, but by a chatbot who spoke to the caller in the caller’s preferred language, asked only questions that were relevant to gain the particular information required for that case to be investigated promptly, and provided simple advice and tips? What if the chatbot understood the relevant regulations of the country the caller was reporting from, such as the whistle-blowing and data-protection laws? Even further, what if the chatbot knew the culture of the region the caller was reporting from, as well as the corporate policies of the relevant company? Would this be a more accessible and efficient whistle-blowing environment for the company and reporter? This solution is available now, and it’s much more affordable and cheaper to maintain than existing call centres. IntegraCall® | Secure Compliance Hotline is a hotline centre built with technology. There is no human involved in the information-gathering stage, helping keep down costs and maintain anonymity, and the report sits on a server in the location it was made in, minimising risks related to data protection and security. The chatbot, ‘Nicole’, is more compliant than humans, because she was trained by experienced compliance professionals and investigators, using their collective knowledge and in-country field experience. Nicole speaks more than 100 languages, works around the clock so she’s available at any time, and has the capacity to receive a massive number of calls at the same time. 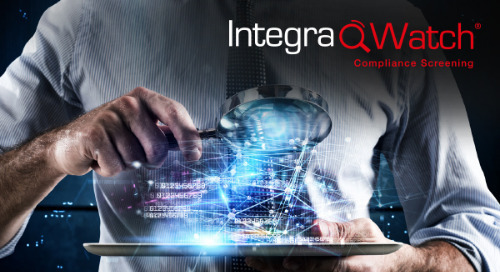 If you would like to learn more about the solution, please visit www.integracall.com or contact the sales representative in your region. 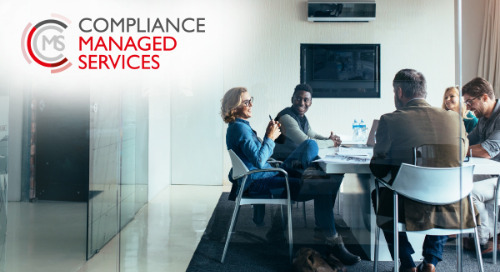 The Red Flag Group experienced continued growth of Compliance Managed Services in 2017.